Normally, when women break the "glass ceiling," the world celebrates. However, when a woman breaks a wrong glass ceiling, there is no reason to celebrate. This is the case with Pauline Nyiramasuhuko - who has broken a wrong glass ceiling and gone down in history as the first woman to be charged (and convicted) of genocide. On 24 June 2011, 65-year-old Pauline Nyiramasuhuko, Rwanda's former Minister of Family and Women Development, was convicted and sentenced to life imprison by the United Nations International Criminal Tribunal for Rwanda (ICTR). 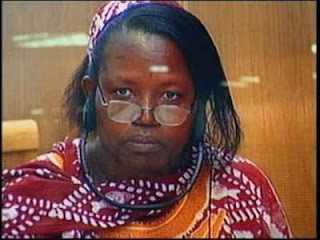 She was arrested in July 1997 for her role in perpetuating the 1994 Rwandan genocide which claimed 800,000 Rwandan lives. She was accused of ordering and assisting massacres and rapes in Butare, southern Rwanda. "Nyiramasuhuko entered into an agreement with members of the Interim Government on or after 9 April 1994 to kill Tutsis... with the intent to destroy in whole or in part the Tutsi ethnic group. She conspired with the Interim Government to commit genocide against Tutsis..."
The 18-paged summary of judgement and sentencing reveals "horrific events" - including rapes, abduction, beatings and killings of Tutsis - in Butare, perpetrated by Pauline and other interim government officials. The Trial Chamber sentenced Pauline Nyiramasuhuko and her 41-year-old son Arsène Shalom Ntahobali to life imprisonment for their role during the genocide. Four other accused, namely: Silvia Nsabimana, Alphonse Nteziryayo, Joseph Kanyabashi and Elie Ndayambaje were sentenced to 25 years' imprisonment, 30 years' imprisonment, 35 years' imprisonment and life imprisonment, respectively. During the trial, a total of 189 witnesses were presented and about 13,000 pages of documents. The long trial and eventual sentencing of Pauline Nyiramasuhuko et al. 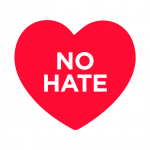 sends a clear message to perpetrators of heinous crimes that they would have their day in court. *Photo of Pauline Nyiramasuhuko. [Source]. See, women are just as good as men!